After the snow melts and the poop is everywhere, let me clean your yard for you. Spring clean ups priced accordingly. Dr. Pooper Scooper will take care of one of the worst parts of being a pet owner: cleaning up the nasty traces your pet leaves behind. Our pet waste removal service travels all over New Jersey’s Sussex County to make sure your lawn stays green and clean. My name is Richard Roy and I began Dr. Pooper Scooper after years of working in lawn care. I frequently noticed dog poop and other waste on otherwise beautiful lawns; no one seemed to have the time to go out and clean it up. Since then, I’ve been working professionally in the pet waste removal industry. I can rid your yard of waste from otherwise loveable pets, (both yours and others). 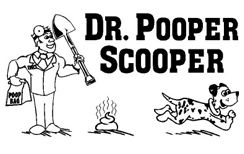 When you need dog poop cleanup, or removal of any other waste near the northern tip of New Jersey, call Dr. Pooper Scooper. We service all of Sussex County, including Lafayette Township, Sparta, Newton, Andover and Vernon Township. $16 per visit based on weekly service only and number of dogs. For most people, I bill you once a month. Click here for contact information. Dr Pooper Scooper in the soon to be released pet documentary "Dog Poo The Truth At Last" by Australian film director James Boldiston. Let me clean your yard for you. After the snow melts and the poop is everywhere, let me clean your yard for you. Spring clean ups priced accordingly. Towns include Andover, Newton, Byram, Frankford, Franklin, Green, Green Township, Hamburg, Branchville, Hardyston, Hopatcong, Lake Hopatcong, Lafayette, Ogdensburg, Stanhope, Stillwater, Fredon, Jefferson, Hackettstown, Budd Lake, , Vernon, Augusta, and neighboring towns. 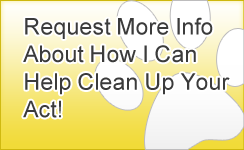 Dr. Pooper Scooper offers Pet Waste Removal, Dog Poop Cleanup the Sussex County New Jersey area.